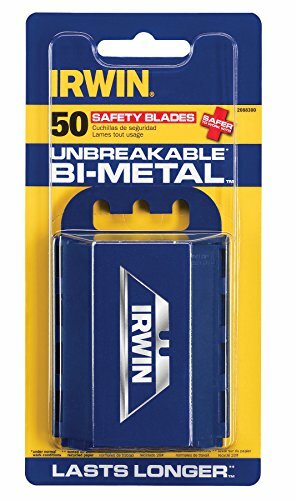 IRWIN Bi-Metal Safety Knife Blades have blunted edges to inhibit puncture wounds. The bi-metal construction is shatter-resistant and can stay sharp longer than traditional utility knife blades. A speed tip penetrates surfaces easily. Use each safety knife blade with a compatible IRWIN or other utility knife.